Continuing un-deterred by the wealth of negative reviews W. received from British and American users and press, I finally got round to seeing it this weekend. For those of you who like to skip to conclusions at the end of reviews I’ll give you mine now: it’s a mess. What W. lacks in coherence it more than makes up for in interest and oddity value which is interesting in itself as the same could and has been said about its subject matter! Director Oliver Stone veers un-predictably from straight-up character biography to out-and-out parody without, it seems, a care for the fact that the two jar and clash horribly at numerous moments. The ‘war room’ scene for example, with Cheney, Rumsfeld and Bush peppering a map of the middle-east with American flags is like something directly out of Austin Powers or, perhaps more worryingly, Dr Strangelove. 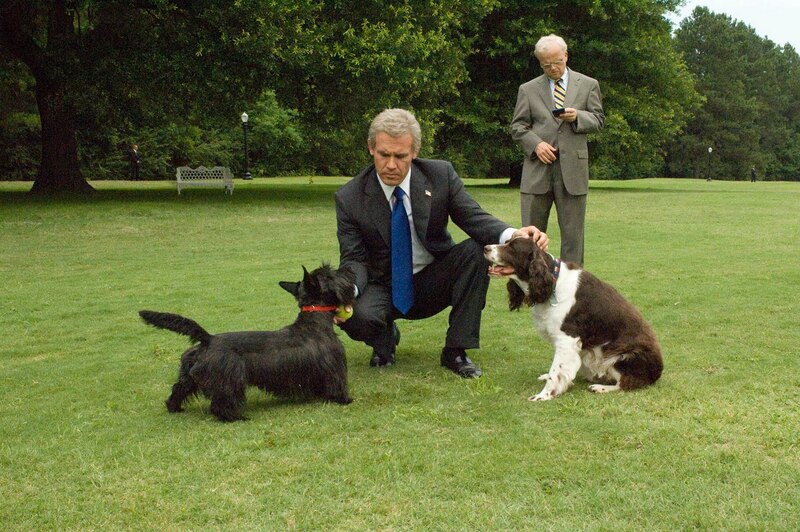 Meanwhile Bush and his cabinet’s slight (de)tour of his ranch is genuine comic genius. But aside this we have a young Bush’s tour through a pressurised, mis-guided youth, piloted by the extremely driven George Bush Snr. Then we have Bush’s survival of alcohism and his re-discoverence of God while at the back of all this there is his relationship with his wife and his own development of a dad-inspired, driven personality. A scene showing Bush’s attempt at a run following a night on the tiles verges on touching and is presented by Stone as a believable pivotal moment. However, in the end Stone creates caricatures not characters and his cabinet, Bush and the advisors around them are too comic to care about. Karl Rove for example is just too weasley to believe and his cheesy ‘A-OK’ jesture in the war-room is like something off a beer advert. Meanwhile the characterisation of Ari Fleischer, one of the bit-part players I was most looking forward to seeing here, is none-descript and is basically used for cheap laughs at the clash between his press-speak and Bush’s no holes barred mentality. Maybe it was too soon for this film to come out and the memories of the characters in it too fresh. Equally it could be thrown at Stone that he has tried to imitate not evaluate. Most disappointing though is the fact that this is a Stone movie devoid of any real bile or anger and indeed, possibly lacking in an agenda. Stone movies are typically politicised tirades against a person, theme or lifestyle. Instead he seems here to attempt a rounded portrayal of a presidency whose real legacy has yet to be established and ends up with a film that comes dangerously close to choking on its own smug pretzel.